This luminous 44-card deck is imbued with Kim Dreyer’s artistic vision and her passion for the natural and the supernatural elements we encounter on our soul paths. 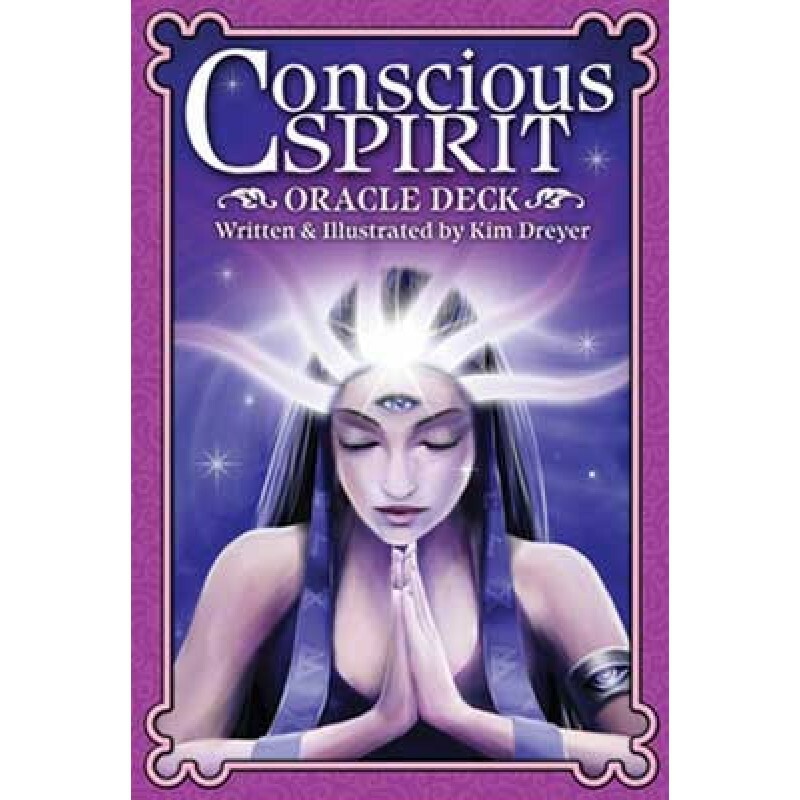 She has created Conscious Spirit Oracle Deck to help guide others to a deeper level of consciousness and a more harmonious life. The deck introduces chakras, angels, and spirit guides as it awakens the spirit and rekindles the connection between the cosmos and the earth. The guidebook contains insightful interpretations to help you discover the Divine Feminine wisdom each card carries. 44 page book included. 44 cards. Card stack is 5 1/4" x 3 1/2" x 5/8"